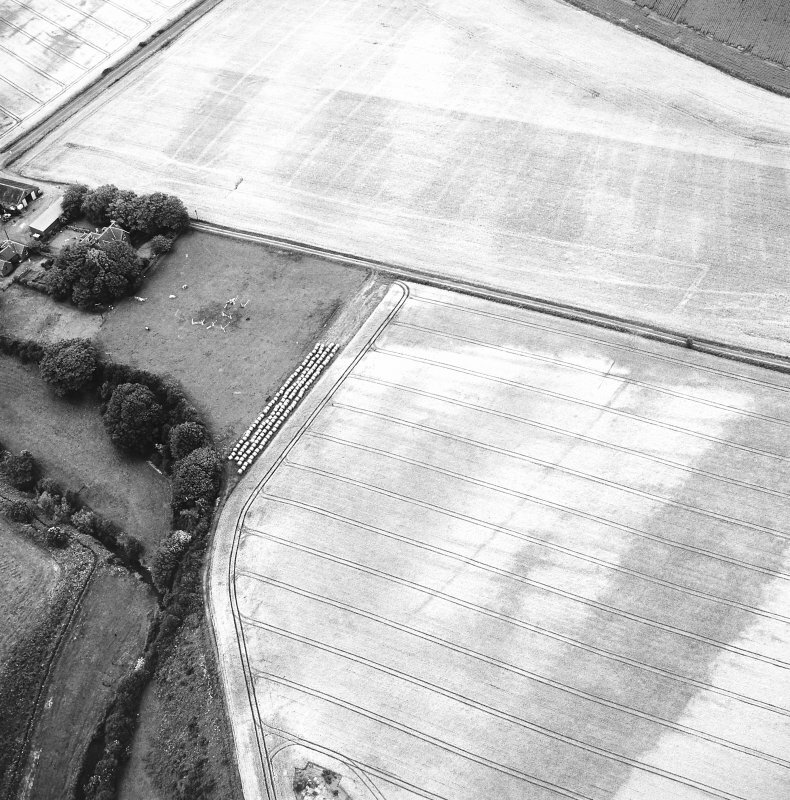 Craigmill, oblique aerial view, taken from the S, centred on cropmarks of an enclosure, barrows and rig. A second enclosure is visible to the top right of the photograph. 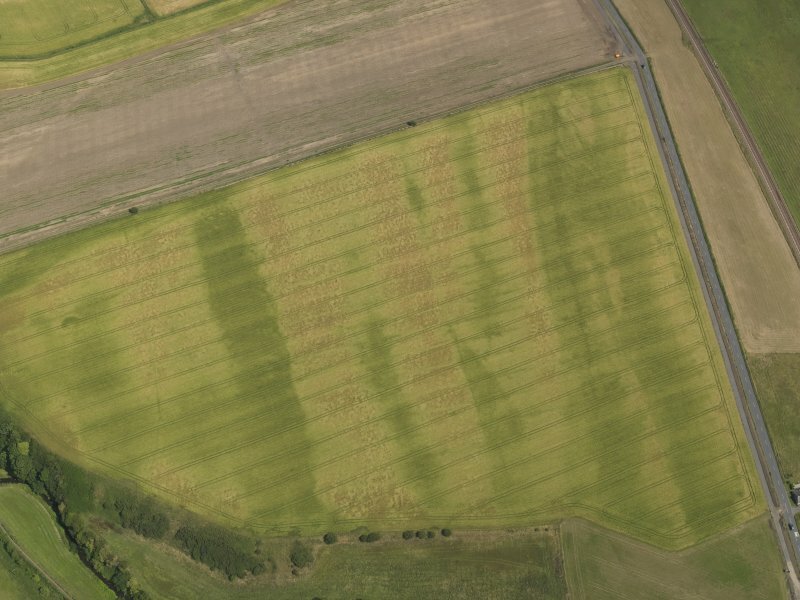 Oblique aerial view of the cropmarks of the barrow and possible field boundary, taken from the NW. 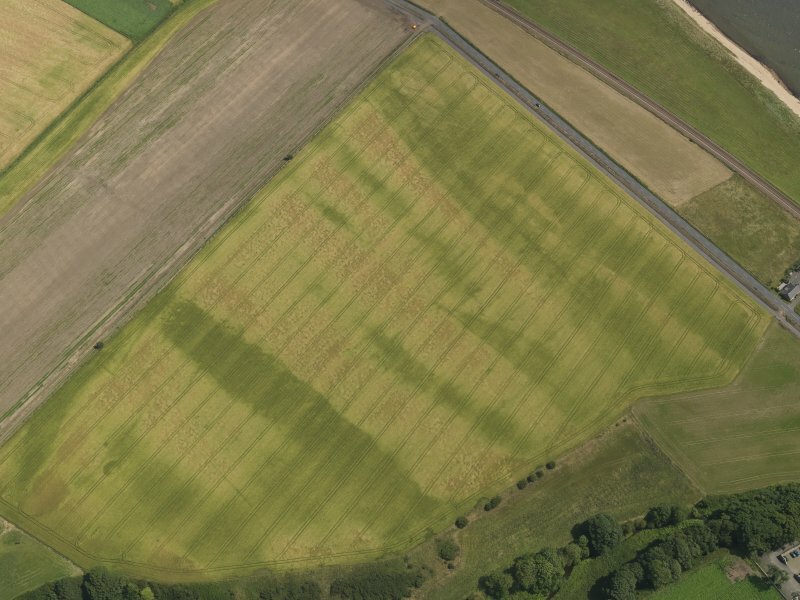 Oblique aerial view of the cropmarks of the barrow and possible field boundary, taken from the W.
Craigmill, oblique aerial view, taken frow SW, centred on crop marks of an enclosure and rig. A second enclosure is visible in the top right corner. 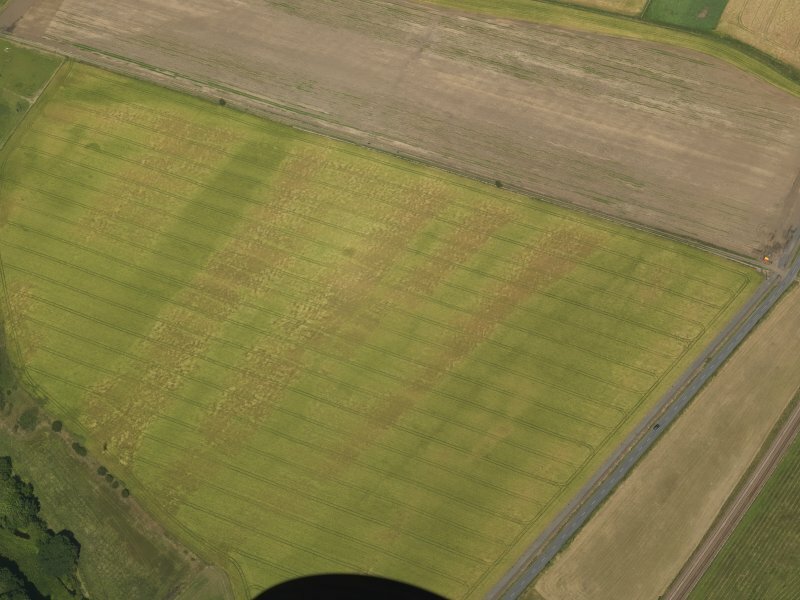 Oblique aerial view of the cropmarks of the barrow and possible field boundary, taken from the SW.
See also NO53NE 29 and NO53NE 78. 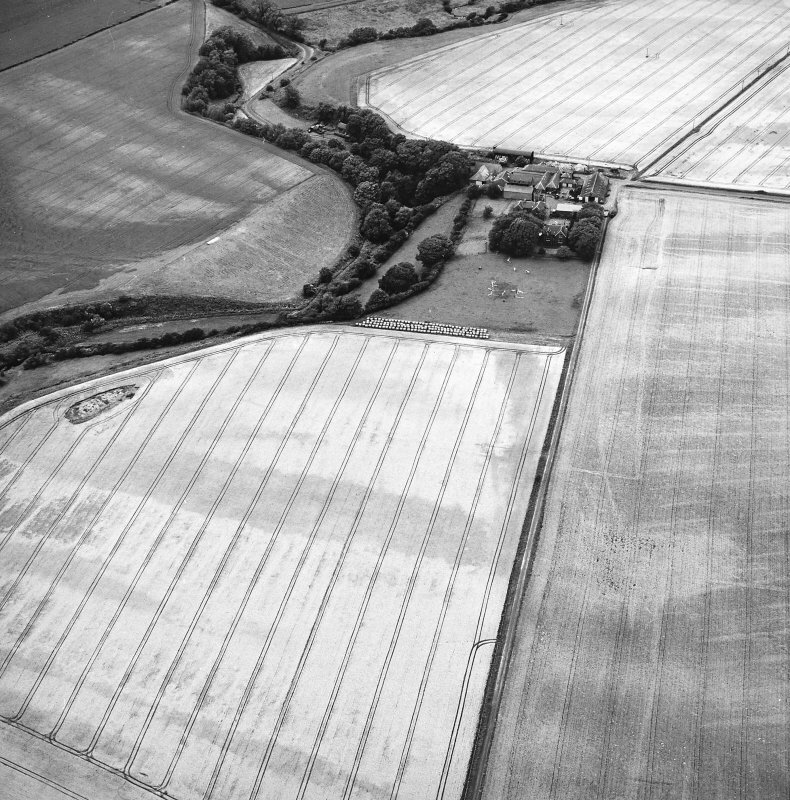 Oblique aerial photographs (RCAHMSAP 1983, 1995) show the cropmarks of at least five round barrows, situated in a field, approximately 150m SE of Craigmill farm. They measure between 8-12m in diameter, with centrally placed pits which may represent burials. Information from RCAHMS (KJ) 28 April 1999.